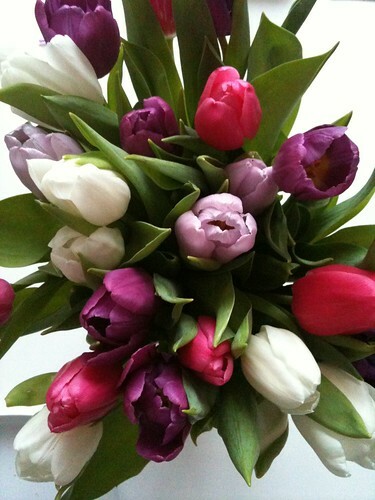 A glorious vase of tulips in pink, violet, lavender and white. 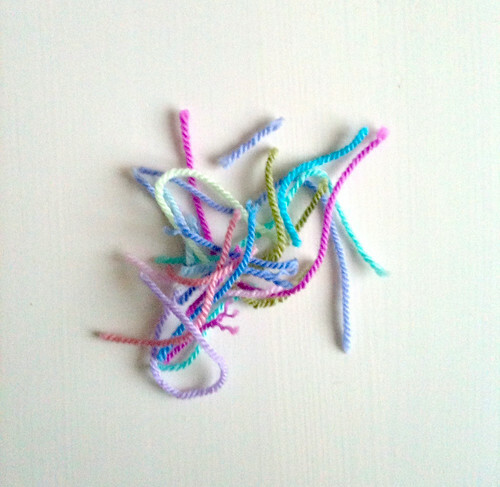 Little nest-like tangles of yarn snipped off from weaving in ends. Less photogenic but also present is random household detritus like envelopes, and, of course, books. The latter run the literary gamut from Fox in Socks and Moo, Baa, La, La, La to Gödel, Escher, Bach and Od Magic. 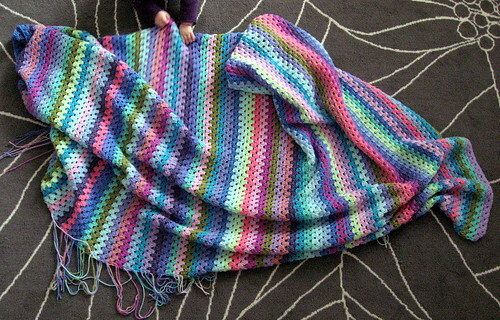 As of last night, past when I should have gone to bed, I have finished the body of the Spring Cloud blanket. I've got ends to weave in, and a border to do, but the bulk of it is done. 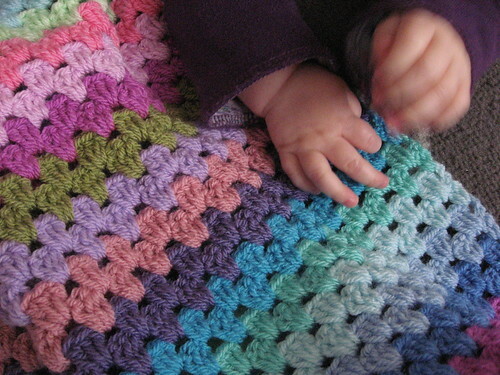 I'm excited about the pretty border now and which colours to pick! The Wee Lass seems to like it already.